The Anthem plan purchased by Catherine Lutz and her family, was hidden in a statewide database of health insurance plans scheduled for 2015. Screenshot of SERFF result for Anthem health insurance plan. Catherine Lutz is a freelance journalist based in Aspen. When Obamacare went into effect this year, she bought health insurance for her family of four through the Colorado health exchange. Right now, the monthly premiums are very low. The provider is Anthem, also called HMO Colorado or Rocky Mountain Hospital and Medical Service, Inc.
“At first it was $150, and I was ecstatic. And then when it dropped down to $90 a month, I was in a little bit of disbelief, but I wasn’t going to question it." Those affordable prices are because the Lutz’s family income is low enough, that they qualify for a sizable tax subsidy. When Colorado officials announced this summer that Anthem's prices for next year were available for public review, Catherine gave Aspen Public Radio the go ahead to look up her plan. We knew Catherine’s premiums could go down, since insurance officials tried this year to make health insurance cheaper in resort towns. And if her monthly bill might go up a lot, she could submit a comment on her plan, to help state officials prevent unfair rate hikes. But what started as a quest to find out just how much Catherine might be spending on her health insurance next year, turned into a nearly two month long saga. In the end, we found confusion between state insurance officials, and one of Colorado's biggest insurance companies. Here's what happened. 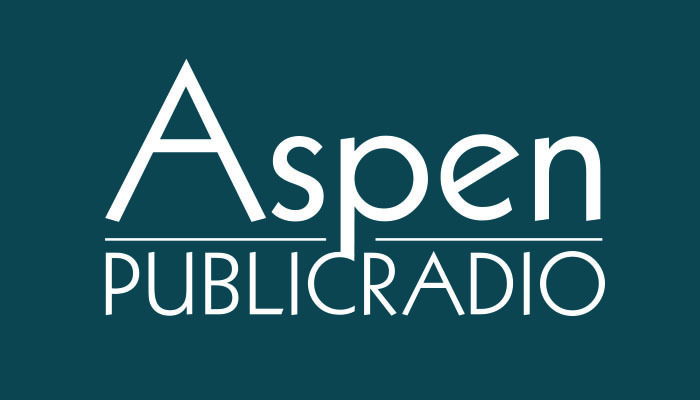 Aspen Public Radio first tried searching the database available at the Colorado Division of Insurance. There are instructions posted but, they did little to help. This is a confusing search website. It is not user friendly. So, we asked for help. Reporter: Susan Buth is a Rate and Financial Analyst Intern with the Division. She might also be one of the most genuinely helpful people on the planet. Buth explained how to navigate: what words and dates to put into the search. Nothing about this site is intuitive. The site is also often really, really slow. It’s called SERFF, an acronym for System for Electric Rate and Form Filing. It handles all kinds of insurance for thirty one states. Buth explains it this way. Sometimes our search wouldn’t even load. But when it did, we spent five and a half hours painstakingly reviewing hundreds of pages, and we couldn't find Catherine's plan. Remember all of this is was with the tips we learned from Susan Buth. Which brings us to another hiccup. In the interest of transparency, Colorado posts every single document related to a health care plan. And, there’s no way to know which documents are actually someone’s health care plan… or simply explanatory paperwork about the plan. Once again, we called up Susan Buth. We call Catherine for a progress report and say, hey-- you’re going to have to get a different health insurance plan for next year. Can we call Anthem to make sure. And, Catherine agrees. Joyzelle Davis, a spokeswoman for Anthem's Colorado plans, gave this explanation. “The simple answer is Mrs. Lutz’s plan is not being canceled. Anthem is not planning on cancelling the policy and has not request the Division's approval to do so. Instead Anthem has filed, and the Division of Insurance has approved Anthem’s request to renew this plan with certain benefit modifications in 2015." In other words, after searching through detailed health documents for five and a half hours... not only was the insurance plan missing from a statewide database, the agency in charge of policing health insurance disagreed with the carrier about whether that plan should even be there. Now, let’s pause for a moment: technically Colorado isn’t required to post all this information during the summer. According to federal law, premium increases of ten percent or more have to be displayed by November 15th. So, in fact Colorado officials are trying to go the extra mile by posting information early. But they’re failing to do it effectively. Back at Catherine’s place we asked what it was like getting mixed messages about her policy. Vince Plymell is the spokesman for the Division of Insurance. The agency started really digging around for Catherine’s plan, after we passed on the message that Anthem is keeping it next year. Now it appears the cause of our confusing and ultimately fruitless search may be that Anthem didn’t upload the right paperwork to the database. We began our journey with one question: will Catherine Lutz’s health care plan cost more next year? Nearly two months later, we still don’t know the answer. If the monthly premiums for that plan are scheduled to go up by 10% or more in 2015, the Colorado Division of Insurance has until Novmeber 15th to make sure that plan is clearly posted. That's in order to be in compliance with the Affordable Care Act, or Obamacare. Editor’s note: The health care tax subsidy is another key factor for Catherine Lutz and many other Roaring Fork Valley residents. In the coming months, we'll take a look at whether subsidies might change for 2015. Last month, several people raced to sign up for health insurance before the March 31st deadline. Many of those patients qualified for the taxpayer-funded Medicaid program. Turns out, more people signed up for Medicaid than for private insurance in the tri-county area that includes Garfield, Pitkin and Eagle Counties. Now, doctor’s offices that handle these patients are trying to keep up. Aspen Public Radio's Marci Krivonen reports. There’s a lot of scrambling going on, as people race to sign up for health care before the national deadline. Today, March 31st, is the last day for most people to sign up for a plan and avoid a tax penalty. Those are the rules under the Affordable Care Act and in Colorado, many people are using the state exchange, Connect for Health Colorado, to sign up. Government agencies have been trying to make it easy for people to purchase a plan… including a recent walk in clinic last Friday, in Aspen.